Educating Activist Allies offers a fresh take on critical education studies through an analysis of social justice pedagogy in schools serving communities privileged by race and class. 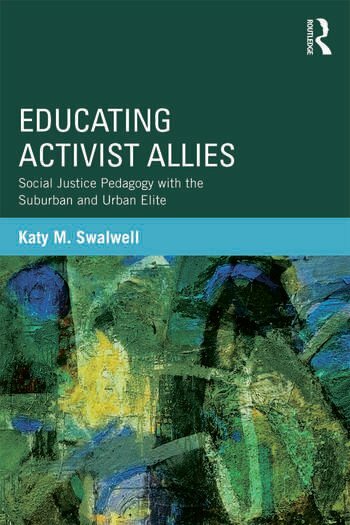 By documenting the practices of socially committed teachers at an urban private academy and a suburban public school, Katy Swalwell helps educators and educational theorists better understand the challenges and opportunities inherent in this work. She also examines how students responded to their teachers’ efforts in ways that both undermined and realized the goals of social justice pedagogy. This analysis serves as the foundation for the development of a curricular framework helping students to foster an "Activist Ally" identity: the skills, knowledge, and dispositions necessary to negotiate privilege in ways that promote justice. Educating Activist Allies provides a powerful introduction to the ways in which social justice curricula can and should be enacted in communities of privilege. Chapter 4: Social Justice Pedagogy in Action: "Bursting the Bubble" and "Disturbing the Comfortable"
Katy M. Swalwell is Assistant Professor in the College of Education & Human Development at George Mason University, USA.